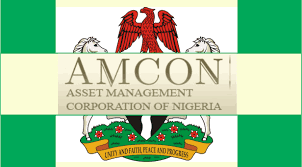 The Asset Management Corporation of Nigeria (AMCON) will on Thursday morning take over the assets of three companies belonging to politician Ben Murray-Bruce and his brothers. AMCON was established on July 9, 2010, as a key stabilizing and re-vitalizing tool for stabilizing the nation’s financial system. Its enabling law empowers it to acquire non-performing loan assets of Nigerian banks at fair values and then put them to economic use in a profitable manner. Mr. Murray Bruce and his brothers, using their companies, had between 2005 and 2007 borrowed various sums of money from Union Bank. After they repeatedly defaulted in paying back, AMCON purchased the loan in 2011 to save the bank from collapsing. 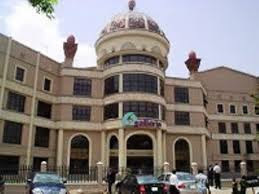 AMCON is now seizing the assets belonging to the three companies used in securing the loan – Silverbird Productions Limited, Silverbird Showtime Limited and Silverbird Galleria Limited. The properties include those at 133, Ahmadu Bello Way, Victoria Island, Lagos, Plot No 1161 (Silverbird Galleria), the plaza at Central Area Cadastral Zone AOO, Abuja, and the magnificent structure located at Abonnema Wharf Road and Abali Park in Port Harcourt City of Rivers State. The planned takeover followed the June 17 interim orders granted by Justice Cecilia Olatoregun-Ishola of the Federal High Court, Lagos, in Suit No. FHC/L/CS/790/16 – Asset Management Corporation of Nigeria & 3 Ors. v. Ben Murray Bruce & 4 Ors. 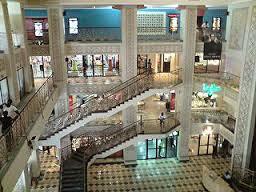 The order allows the Receiver/Manager to take possession of the said properties. AMCON had on April 18 appointed a Senior Advocate of Nigeria, Muiz Banire, the receiver/manager over the sprawling properties. Murray-Bruce, Guy Murray-Bruce and Jonathan Murray-Bruce, who is the senator’s first son. An AMCON insider said Mr. Banire had concluded arrangements to take over the assets on Thursday morning (today). According Naij, Senator Murray-Bruce could not be reached this morning, to comment for this story. His known telephone line failed to connect. He is also yet to reply a text message sent to him.